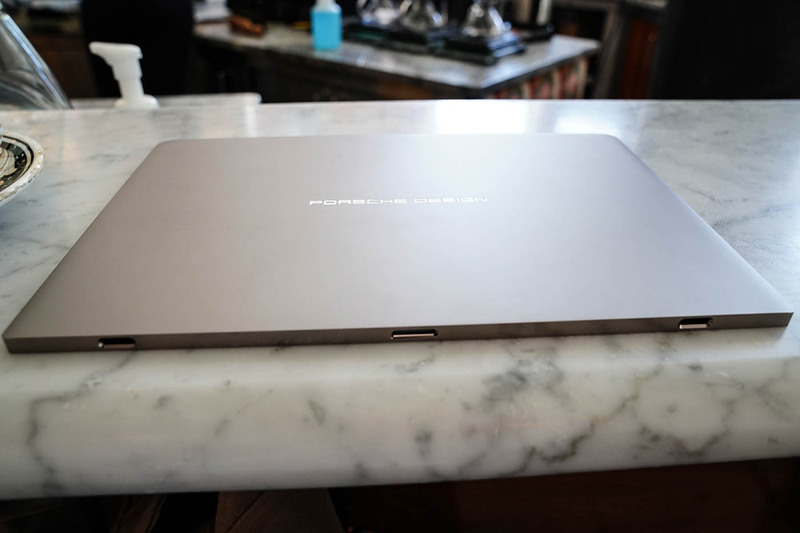 Porsche Design’s Book One laptop is a prime example of when aesthetics completely take over — when other parts of the device suffer and you lose focus on how well it actually works. 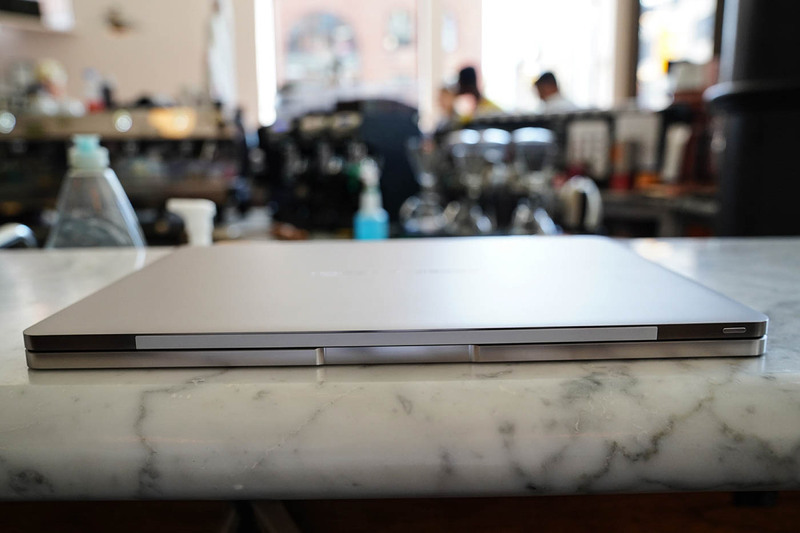 The form factor set by Microsoft’s Surface Book is probably one of the best approaches to a convertible laptop. Why? Simplicity: the screen detaches from the body to become a tablet, then can be reattached for the traditional clamshell design. It can be a good experience, especially true if the pen input works well, the battery life is solid and the aesthetics fit like a jigsaw puzzle. The Surface Book does this, the Book One as well, but it doesn’t work as well. Why is there a “Porsche Design” laptop? Quite a few luxury car manufacturers (eg. Ferrari, Lamborghini, BMW) have a design studio or brand they use to sell (expensive) merchandise that sport their brand. It’s just brand appeal. Porsche Design has previously designed an Android phone; a tablet computer is the next step up, if you really think about it. At least you don’t have worry about power, because the Book One has a solid spec sheet. 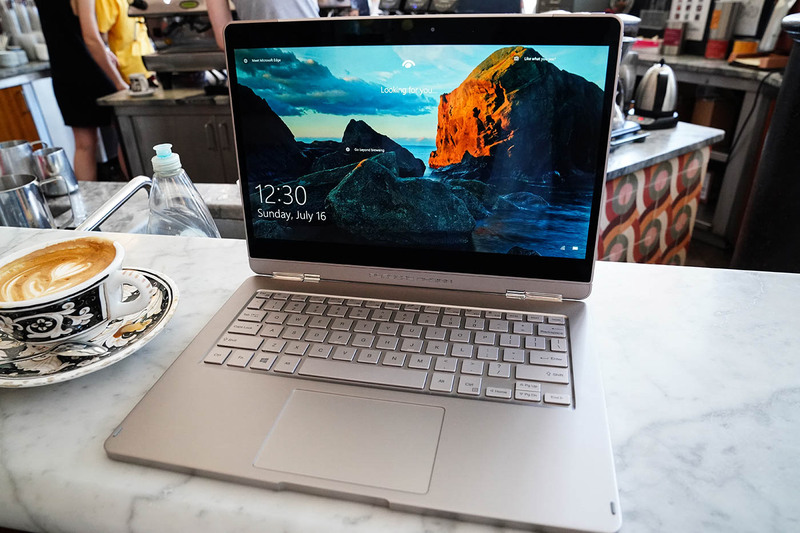 A 7th-gen, dual-core Core i7 processor is clocked at 2.7GHz (2.9GHz on turbo) paired with 16GB of RAM, a 512GB SSD, Bluetooth 4.1/WiFi and Windows Hello login. To say this as a 20-year-old who is still in college may sound hypocritical. But honestly, the Book One feels like the product of a bunch of college students who got really excited about their first hardware project, only to realize how much work then has to go into the software. If I had to summarize the Book One experience, it’s that it needs work on the former, but does a good job on the latter. Originally, I thought that the perfectly clean install of Windows 10 64-bit was going to be bug-free (which is wishful thinking, but still). In practice however, I came across a few problems, to which there weren’t immediate solutions. For example, the Windows Hello cameras don’t always turn-on when waking from sleep. Sometimes the keyboard doesn’t sync when you reattach the screen. The hardware controls on the top row can only be activated using Fn (function key), plus the feature you want to control (brightness; volume; keyboard backlight). It’s a hassle sometimes. Fret not! Not all of the Book One’s software is shaky. In fact, I give major props to the Porsche team for using Microsoft’s Precision drivers — the same we see on the Microsoft Surface systems. Personally, I believe they’re the best touchpad drivers Windows has, but few OEMs choose to use it over Synpatics drivers. But goodness, the speakers are bad. They’re of a stereo design, on the tablet portion of the Book One. In short, they sound like they’re made of tin. Virtually no software enhancement besides the default Realtek drivers exist, so you can’t compensate for the lack of volume or fidelity. The Book One cannot be the center of a binge-watching session among close friends — heck, it can’t even fill a bedroom; you will need to use headphones or external speakers, no exceptions. The issues I experienced can probably be tweaked with a Windows update by the Porsche Design folks. However, there isn’t a support or drivers page on their website that caters to the Book One. Porsche Design says there’s a “free premium hotline and remote support”, but that hasn’t helped me as of yet. Also, there is a physical flaw to the Book One’s design. Since both the top and bottom halves are about the same thickness but different weights, the top end will tilt the laptop backwards if tilted too far back. This happens without fail if it’s on your lap, and is a little aggravating. I’ve reached out to my contacts at Porsche Design, but didn’t hear back in time for publication…moving on, then. The screen is gorgeous! 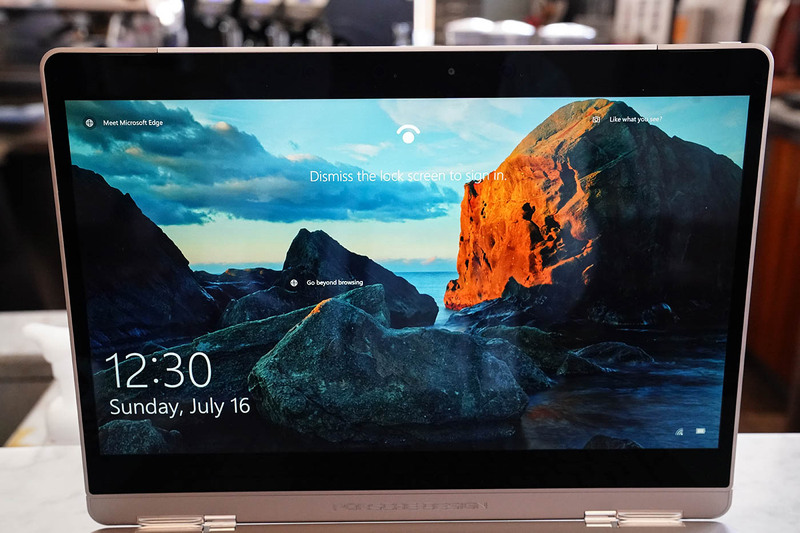 It’s a 3200 x 1800 resolution on a 13.3-inch IPS panel, with 10-point multitouch. Everything on screen looks like eye candy, with what appear to be fairly accurate colors. Unfortunately, I don’t have the Adobe RGB gamut rating for this screen, so once again, I’ll have to move along. The rest of the Book One experience is straightforward: a solid keyboard, good trackpad, and a Wacom metal pen for use with Paint3D and other creative Windows 10 apps. 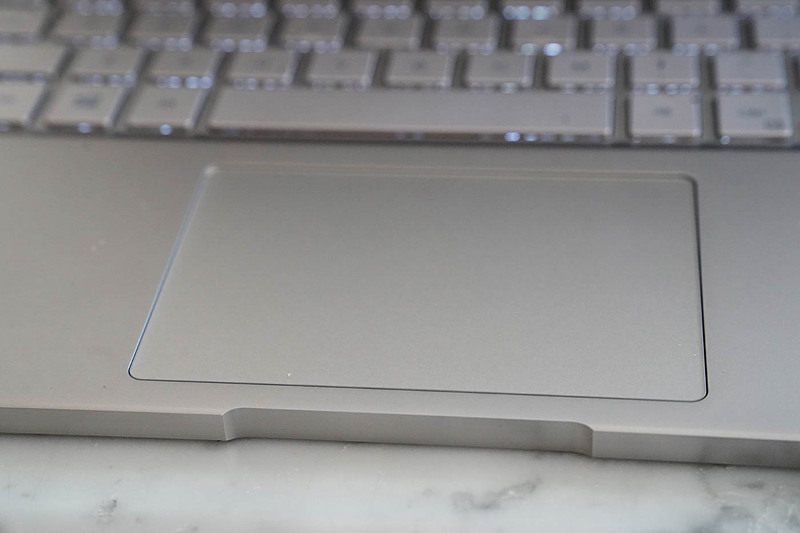 What’s also Surface Book-esque is the battery setup: one in the keyboard, another within the tablet itself. With brightness set to 50 percent, WiFi and Bluetooth on, it’s not hard to reach at least 10 hours of use; PD advertises 14 hours, with less than two hours to charge. It’s decent, really. 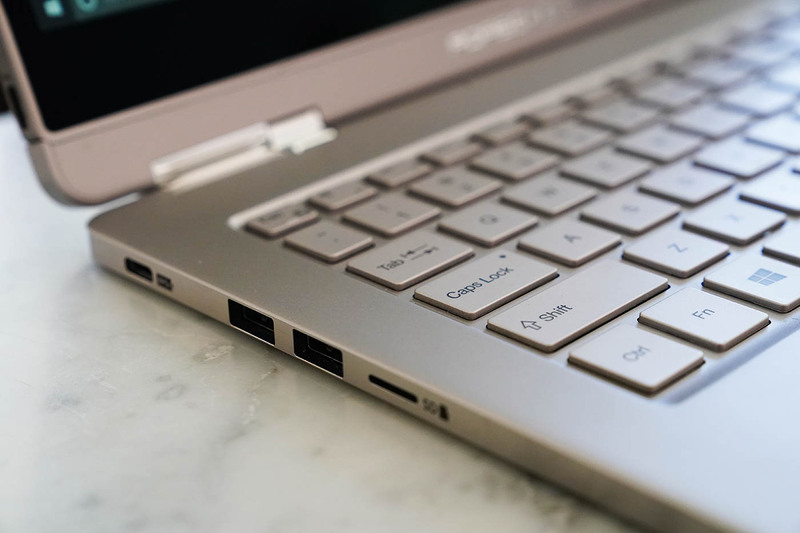 Ports-wise, you get one USB-C charging port, one USB-C for data, 3.5mm audio jack, microSD card slot and finally, two standard USB 3.0 ports. It’s a forgiving selection. Who is this laptop for? Well, if you have a Porsche and really want a matching laptop, then here’s your new laptop. Jokes aside, if you’re ready to resign yourself to paying a brand premium for specs and design — while remembering the current 13-inch Macbook Pro is still $1,000 less — with a few software quirks, then the Book One is also for you. It’s a statement more than anything. The Porsche Design Book One is really an art piece, best observed from afar and not by the dent it would put in your bank account. Also, it needs actual speakers.